2013 has been an eventful year for me, and I’ve entered a new stage of my life. I’ve grown immensely as a writer and a person, and this blog must grow with me. This year I’ve actually committed to freelance writing, and I’ve made quite a bit of progress on the Ten Commandments ebook I’ll release when I reach 400 followers. I’m also going to technically graduate high school, but I’ll talk more about that in another post. Over the next couple of months, this blog will enter a new stage of its life, too. It’s going to become a more professional showcase of my work, but it’s also going to become more community focused. By the end of the year I hope to release an ebook designed to help writers finish their first draft. To accomplish all of this, I’m going to switch to a self hosted site. I will also be renaming this blog and purchasing a new domain name. I’d like this domain name to be more community focused, with regular contributors, because this blog isn’t just about me. It’s about you guys, too. I will be keeping this domain name for about a year, and all posts from the new blog will be cross posted here, so you’ll have plenty of time to follow me in making the switch. I will probably make a new schedule, though I haven’t set that in stone yet. Over the next week I’ll be hammering out the exact details of these changes, but before I finalize everything, I’d like to know what you think. What do you think would make a good name for the new version of this blog? What would you like to see happen in the next stage of this blog? This blog has long been where I pour out my heart and soul. Sure, I don’t talk much about my life outside of writing, but writing is really the core of who I am and how I live. I write every day, or as close to it as possible. I’ve wanted to be a professional writer since I was eight years old, and I’ve never stopped pushing for that dream. Instead, I’ve fit the rest of my life around my writing, trying desperately to keep it from conquering my writing time, with varying amounts of success. Through this blog, I’ve seen lots of success. I have over three hundred and fifty subscribers, which seems like a small number compared to, say, the millions of subscribers Firepole Marketing has, but is a pretty big number for me. It’s an even bigger number when you consider how crowded the blogosphere is, and that every writer has a blog–and that I’m not famous for other work. This blog has also been the thing that set me apart from other applicants and gotten me all the writing jobs I’ve ever had, and best of all it’s been a lot of fun. It’s also been very frustrating. Maintaining a regular posting schedule is incredibly difficult during the school year. I’ve had to cut back on the amount I post per week to focus on other things. I’ve even started taking whole weeks at a time away from the blog to work on my other projects. Since I don’t make any money directly from the blog, often it also feels like a waste of time. Perhaps the hardest part is getting people involved in the discussion. Many of you have joined in the conversation on different posts, but I still haven’t figured out the magical formula to create a healthy, thriving discussion. I’ve had mixed success with everything I’ve tried. When I posted these three questions, I had an overwhelming response, yet when I posted more questions in last week’s Friday Forum, nobody responded. It’s impossible to tell whether that was because of the long weekend, the questions themselves or perhaps something else about the post itself. I guess what I’m saying is I’d like a little help, guys. This blog is only partially about sharing my own journey as a writer. It’s also about helping you guys become better writers and creating a community where we help each other. It’s also about sharing the love between writers and helping others promote their work. It’s also about sharing great books with you so you’ll never run out of good things to read. Really, it’s mostly about you. Without your response and participation in this community, I’m shooting in the dark. I’m writing what I think, what I hope you guys will like, because you haven’t told me what you’d actually like to read. I’ve debated starting a newsletter, but because you guys are so quiet, I’m not sure what you’d subscribe to, so I haven’t–I don’t want to put weeks of effort into something nobody will like. And without your help to spread the word about Dianna’s Writing Den, this community will never grow. So please, share your thoughts about what I do here. You can say whatever you want, as long as it’s genuine criticism and not internet flaming. Tell me what you like about Dianna’s Writing Den, but especially tell me what you don’t like. Frankly, negative feedback is almost more useful–after all, how else would I figure out what not to do? Next week being the last week of May, I’ve decided that I will only run one post next week on Friday. I’ve decided not to take the whole week off, but I do need a bit of a breather. Please bear with me. If you haven’t put in your two cents yet, now is the chance. Help me make Dianna’s Writing Den by giving your feedback–even if all you do is tell me why you never comment. Paula Eisenstein is a wonderful author who I interviewed here earlier this year. You can check out that post for more information about her and the story of how we met–today I’d like to focus instead on her debut novel, Flip Turn. “In Paula Eisenstein’s spare and provocative first novel, a young girl must come to terms with the discovery that her brother killed a young girl. Feeling alienated and not knowing how to ask for help, she decides that suppressing her sexual development will ensure she doesn’t do the same thing. Flip Turn is written like a diary. The narrator goes on tangents fairly regularly, which wouldn’t work in an adult book, but helps give the book a teenage feel. On top of having a murderous brother, Flip Turn’s narrator faces the same issues as other teen girls: too much homework, moving, trying to make friends and a constant internal debate about her own self worth. 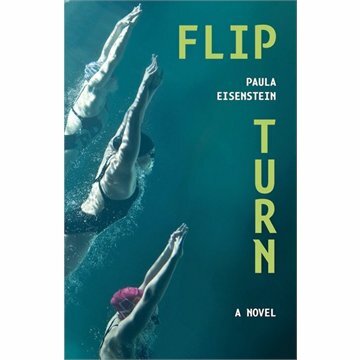 Flip Turn deals with many issues common to teenage girls in an honest way without focusing too hard on any one issue. Flip Turn is also a distinctly Canadian book taking place in London, Ontario, and I’m a sucker for Canadian books. This book is written for teens but I can certainly see an appeal for adults. It’s an interesting look at competitive swimming, which I knew very little about before reading the book, and a fascinating look at the impact one person’s crimes has on their whole family. I find this particularly fascinating because in the news they never talk about these people. We always hear about the impact on the victim’s family, but never about how violent crime impacts the perpetrator’s family. The writing style feels very true to a teenage girl’s voice, and the editing is incredibly clean. In fact, this is the best edited book I’ve read in a long time. I noticed a few places where phrasing was weird and a sentence sounded awkward, but not a single typo made it through. This is incredible when even most traditionally published books have a couple errors that made it through. My only complaint about Flip Turn is that it didn’t truly feel finished at the end. I can’t help but think that there’s more to the story, that something got missed somewhere or perhaps intentionally left out, something that would’ve rounded out the story more. Still, the ending was appropriate even if it felt a bit abrupt, and it wasn’t a Disney happy ending or a tragedy. I’m always happy when an author respects their story and chooses to take the middle ground with their ending, rather than conforming to formulas in the hopes of selling books. All in all, Flip Turn is a fantastic novel. It’s a window into the life of one teen girl, and her story is powerful enough to reach across all generations. My biggest hope for this book is that nobody will turn it away because it’s about a teenage girl–this story isn’t just for teens, even if the story is about one. I’m going to rate Flip Turn a 4 out of 5 on the Awesomeness scale(yes, ‘awesome’ is a measurement). Would you like to read Flip Turn? If so you’ll be thrilled to know that Paula has donated a copy to be given away when I reach 400 subscribers. Don’t want to wait? You can purchase Flip Turn here. I’d like to wish all you lovely people–at least all you lovely Canadian people–a happy Victoria day. In keeping with my rules of productivity, I will be taking the day away from Dianna’s Writing Den to work on other things: editing my novel and working on other long term projects. You might have noticed that I didn’t manage to reach 400 subscribers in two weeks, but that’s okay. When I do reach 400 subscribers, I’ll still be hosting a massive giveaway. I am still working on my ebook, Ten Commandments of the Serious Writer, and I’m planning to release this when I hit 400 subscribers–with the very first copy being given away to one of you. Now, off to writing! Have a wonderful day, and thanks for being a loyal reader. This blog isn’t just for me–it’s for you guys. It’s for the writing community, a community I love dearly. Friday forums are my way of fostering that community. Some of you will remember this challenge. I’m going to ask you three questions, and if you respond you can ask me three questions in the comments section and I am honour bound to reply. 1) What are you writing right now? 2) Do you know what your goals for this summer are? 3) Would you be willing to spread the word about Dianna’s Writing Den through your social media networks, and if no, why not? Post your answers in the comments selection below. Put three questions for me in your comment and I’ll answer each and every one. When little kids say what they want to be when they grow up, visions of star athletes, astronauts and pop singers usually flood their heads. Aspiring writers appreciate the imagination of these dreams, but they don’t want to dunk, sing or become an astronaut to live out their dreams. All they need is a pen and paper (or keyboard and computer). If they weren’t professionals, most writers would express their thoughts on paper, whether in a journal, blog or website. Luckily, writers have many avenues to make money doing what they love. Before you apply for a business credit card to support yourself, review these promising opportunities in professional writing. Trying to make money writing feels as difficult as making it to the NBA, flying to the moon, or composing a hit song, but the reward is the chance to satisfy your curious spirit daily. Few businesses need a fresh copy continuously. When they do need a writer to draft a website introduction, statement of purpose or any other piece of content, they’re reluctant to hire a full-time writer. That’s where freelancers enter. These writing vagabonds jump from job to job describing and depicting topics as needed. Young writers need not look far for their first freelance opportunities. Freeswitch.com is one of many forums that connect freelance writers with paying customers. Young writers unable to earn paying jobs can write for free to build their portfolios. Published clips are the key to a paying writing career. I know. I know. Everyone has a blog. Not everyone has the discipline, writing chops and stamina to maintain a blog that turns a profit. It may not put money in your pocket right away, but over time, blogs can become lucrative properties. Examples include Daringfireball.net, a tech blog, Incomediary.com, a financial advice blog and Caradvice.co.au, an auto blog. The common thread? A niche topic. General interest blogs are a dime a dozen. Tailored-specific blogs attract loyal followers. Visit Adwords.com to learn how you can turn traffic into income. Even if, your blog doesn’t turn a profit, it can still benefit your writing career. A blog raises your profile as a writer and boosts your portfolio for freelance gigs. Who knows? Maybe you’ll be one of the lucky few who is able to blog professionally. While print media are going the way of the buffalo, a new trend demand for content has emerged. Unique copy is a powerful tool to boost keyword rankings on Google and other search engines. Businesses are willing to pay top dollar to get on the front page of Google, so new writing jobs have emerged. A search for "SEO (search engine optimization) writer" on Simplyhired.com returns more than 2,000 positions nationwide. You may not be writing the next great American novel, but you'll earn a paycheck improving your craft. Writers need an independent attitude to stand out. Self-publishing provides total independence and removes costly middleman. Ebooks level the playing field for aspiring authors. 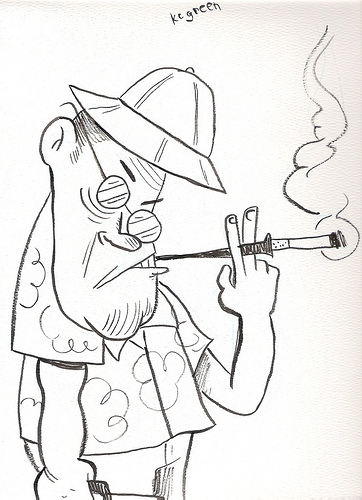 Writers used to need distribution companies, and mass-production printers to publish. Now, authors can write, format, distribute and advertise their own work for little or no cost. Amazon offers direct publishers to Kindle devices for free. The Fifty Shades of Grey trilogy was originally self-published, according to Cnet.com. Self-publishing software removes the roadblocks that have kept you from following your dream. If you’re feeling discouraged to make money as a writer, take heart. The industry may be changing, but the demand for quality writers isn’t going away anytime soon. Please note that Andrew Zimmerman is a guest and I haven’t used any of the sites he mentioned, so I don’t know how good they are. For the last couple of months we’ve been talking about disturbances in your writing and how to deal with them. We’ve discussed several types of distractions and strategies for each one, and two weeks ago we talked about making the sacrifice in order to have time for your writing. Today I’d like to wrap up the series with some final thoughts on distractions and how to deal with them. There will always be things distracting you from your writing. We will always have families and friends vying for our attention, and we will always have laundry to do. There’s a good chance that you’ll always have either school or a job getting between you and your writing too. None of us gets to live in a bubble where we can write all day every day–unless perhaps you’re independently wealthy and have maids to cook your meals and wash your clothes. Still, that’s no excuse for not getting things done. Yes, many of these distractions can’t be avoided altogether, but they can be minimized. As we’ve discussed over the last two months, for every distraction there’s a strategy you can use to get back to work. We must protect our own writing time. Nobody can do that for us. In fact, most people will detract from your writing time–often without realizing what they’re doing. It’s your job to protect your writing time. This is why I cancelled my plans today. I realized that I’ve let too many things cut into my writing time lately, and that my plans for today weren’t essential. Now that I’m working for DJiZM, I have almost no time for my personal writing projects. This has led me to cut back on my socializing time. I’m still not perfect at protecting my writing time–odds are I never will be–but I get better at it all the time, and that’s the important thing. Slowly but surely I’m cutting away the non-essential things to make more time for my craft. You don’t have to do it all at once. Commit to minimizing one distraction at a time. You’re not perfect, nobody is. You’re not expected to cut everyone out of your life, and you’re not expected to eradicate all these distractions at the same time. Take it one step at a time, one day at a time. Most importantly, don’t make it a chore. Writing shouldn’t be a chore. While it’s important to create and defend your writing time, you shouldn’t do this at the expense of your enjoyment of life. Life is too short to be unhappy because of decisions you’ve made. So when you’re asked to do something that cuts into your writing time, ask yourself–in a year, in five years, in ten years, will I regret not being there? Or will I regret not having finished my book? Don’t allow yourself to live with regret. Do the things that truly matter to you–and if you discover that writing isn’t that high up on the list, that’s fine too. You don’t have to pursue a writing career. You can write occasionally, you can skip the editing and just move on to the next piece–just make sure you’re doing it with the intention of remaining a hobby writer. If you want to make this a career, you will have to make sacrifices. It’s up to you–and only you–to decide whether or not writing is important enough to make sacrifices are. I’ve decided that my writing is definitely important enough to make sacrifices for. You might decide something different, and that’s fine too. How much are you willing to sacrifice for your writing career? April’s been a pretty exciting month for me. I got a job writing, editing and promoting blog posts for DJiZM Disc Jockey Services and I’m thrilled to be working with them. I’m also working on becoming a paid contributor to a large Canadian music blog, but I can’t reveal too much about that yet. Editing Moonshadow’s Guardian– I ended up only editing four chapters of Moonshadow’s Guardian this month instead of six, but I am making progress. I’ve now created a concrete plan to make more time for writing, both personal and professional, and I’m hoping to actually do six chapters in May. Write twelve guest posts– depending on what you mean by ‘guest posts’, I might have made a lot of progress this month. I had three posts published on the DJiZM blog published in April and I’ve got more scheduled in May. This isn’t a blog for my target market, so it’s of limited value in terms of bringing me readers, but it’s certainly looking good on my LinkedIn profile, so I consider this a success. This would put me at seven posts for the year, which is pretty awesome. I do still need to get into more blogs aimed at my target market. As you can see, while I originally set myself up with several goals for the year, I’ve only been making progress on one or two of them each month. Since the seasons have changed and it’s warm outside, I’ve decided to re-evaluate my goals and make a plan for May involving as many as possible. Query 12 Articles– I’ve decided that this exact goal is going to be scrapped. Instead, I’m going to alter this goal to ‘Make at least $5, 000 from my writing and writing-related activities. I’ve already made over a hundred dollars through my writing this year, and not only am I working for DJiZM and negotiating with one other company, I’ve also gotten ideas for articles I’d like to query to different magazines because of these jobs. This may seem like a big goal, and as someone who’s only ever made a couple hundred dollars here and there, it is, but I still think it’s totally achievable. My income goal for May? $650. That’s a little bit less than I need to make each month to reach my goal for the year, but I’m planning to do a lot more writing work this summer. Launch 10 Commandments– this project has been put on hold, but really all it needs is an intro, some exercises, and a conclusion. I’m probably going to be working on that a lot this month. Launch an email newsletter– I’ve decided to hold off on this project as I’m having difficulty choosing how I’m going to run it and I’ve got a lot going on right now. I might come back to it this year, but for now it’s off the table. Create Dear Diary Workbook– I’d really love to get this done this year, but I’m not sure if I’ll have the time, seeing as how behind I am on my edits for Moonshadow’s Guardian. Still, I’d like to get it close to done, so my goal is to write at least one page of this book every month until the end of the year. Edit Some Secrets Should Never Be Known– This will get started as soon as I’ve finished editing Moonshadow’s Guardian, which seems like it will be an eternity. I’ll probably end up working on this during the summer. Write one new novel– this is for November, but this month I’d like to figure out what the basic premise of my story will be. I might end up using November to do a full rewrite of the second half of/sequel to Moonshadow’s Guardian. I don’t know yet. This month I’ll be buckling down on my time. No more distracted procrastination for me. I’ve already started carving out more time for myself, but by the end of this month, I’d like to make sure I’m spending at least one hour every day on one of these goals. What are you doing to reach your goals this May? How did you do in April? Today’s post is very special. It comes from Michelle Ann King, whose short story Never Leave Me touched my heart so deeply that I simply had to invite her here. Please give her a warm welcome. Blake Snyder’s Save the Cat revolutionised my writing–or rather, my storytelling. It’s primarily a screenwriting book, but the principles apply just as well to fiction. My favourite part is the Beat Sheet: a list of elements making up the classic Three Act Structure. Some writers find the concept of structure constricting, but for me it was liberating. I would often find myself with cool characters in an interesting scenario, and then sit there wondering what should happen next. Keeping the Beat Sheet at the back of my mind helps me realise what HAS to happen next. It provides a natural progression for the story. The blog section of the site also provides some fascinating breakdowns of films, which are well worth a look. Once you know it’s there, you start seeing this structural skeleton everywhere–it’s like having X-ray Vision. Normal World: MC’s current struggles, in their current environment. The opening paragraph is a reference to fairy tales, both to set the tone for the story and to introduce Katrine’s problem: the reality of her ‘happy ever after’ hasn’t matched her expectations. Inciting Incident: An event caused by the Antagonist that changes the situation. The Antagonist here is Aron–even though he doesn’t know it. He provides opposition by not being the kind of husband Katrine really wants. He sets things in motion by going hunting and leaving her behind. The Challenge: MC debates what this means & what to do about it. Katrine makes Aron swear not to leave, but it’s not enough–she’s not satisfied. She wants to guarantee it. Start the Revolution: MC takes action towards achieving their goal. Katrine goes to the village witch for help. Reactions & Progress: MC learns info, gains skills, discovers problems. Katrine learns that the spell she wants does exist, but the witch won’t perform it for her. Midpoint of No Return: A game-changer, risk or revelation that raises the stakes. Katrine kills the witch and takes her magic. Setbacks & Complications: Antagonist fights back, MC is demoralised. Aron is horrified by what she’s done. Their relationship sours. All Is Lost: Defeat. The Goal looks lost. The marriage breaks down completely: Aron no longer loves her and Katrine no longer wants him to stay–but the spell keeps them together. Bonus Whiff of Death: an image of rotting fruit. Dark Night of the Soul: Emotional reaction to the All Is Lost moment. Demonstrating the flexibility available to a short story, the whole beat here is contained in a single line: Katrine wept, and he did not comfort her. The Comeback: MC decides to give it a final go. Katrine tries to break the spell. Final Battle: MC fights the Antagonist. Unable to loosen the magical binding, Katrine attacks Aron and kills him. New World: MC in their new situation. In Never Leave Me, this beat is not actually on the page. It’s still in the story, but it takes place totally in the reader’s mind–which is probably why people have found it so haunting. As is so often the case, the scariest monsters are the ones you don’t describe. Michelle Ann King writes SF, dark fantasy and horror from her kitchen table in Essex, England. Her stories have appeared in various venues, including Daily Science Fiction, Penumbra Magazine, and Untied Shoelaces of the Mind. Three Hundred and Fifty… Two! Today I was going to wrap up my series on disturbances in your writing, but then something very exciting happened: the number of people subscribed to Dianna’s Writing Den reached three hundred and fifty. In fact, it reached three hundred and fifty-two. Usually I don’t make a big deal of these markers, but three hundred and fifty seems like a really big deal. So today I’d like to say a few things about Dianna’s Writing Den. The first is that I appreciate every single one of you, and that I’m thrilled to be forming such an amazing community of writers here at Dianna’s Writing Den. I’m really proud of the work I do here and I’m glad to be helping all of you. I hope you’ll stay with me on this journey and that someday when we’re all famous authors we’ll be able to have a big party together, sipping tea and talking about the early days of our journeys. The second is that I’ve learned a lot from you, maybe even as much–or more–than you’ve learned from me. I know a lot of my subscribers are also wonderful authors who I’ve interviewed or who have written posts for me, and I learn a lot from these interviews/posts. I’ve also learned about what the most common challenges for writers are, and you’ve taught me how to foster an amazing community. Again, I thank you. The third is that I’d like your help. Inspired by hitting three hundred and fifty subscribers, I’ve thought of a big goal. That goal is to reach 400 subscribers by May 20th. It seems lofty, but I know with your help I can do it. What do you get for helping me? Well, if I hit 400 subscribers by the twentieth, in exactly two weeks, I’m going to host a giveaway. I’m not sure how big it will be as I’m still working on prizes–if you’re an author and you’d like to donate a book, shoot me an email(diannalgunn@gmail.com)–but I do know that it will involve something special: a small ebook I wrote myself, full of advice for writers. And at least one issue of Penumbra, so if you’ve wanted to check it out for a while, now’s your chance. I haven’t decided what this ebook will be about yet. I might use the Ten Commandments project I’ve almost finished, but I thought I’d ask you first: what would you like this ebook to be about? Let me know what you’d like to see in the comments–and don’t forget to spread the word about Dianna’s Writing Den over the next couple of weeks.